Very noisy, and service was slow! Food was good, the guacamole was very good! Salsa was very smoky and spicy! Had dinner with my family. The restaurant was very busy and we were seated at our reservation time. Service was fair and friendly and my way too spicy (I like spicy) shrimp tacos were replaced with delicious chicken fajitas. Took half an hour to get our chips/salsa/guacamole/margaritas. Margaritas were fine. Was not a fan of the salsa and guacamole. The food is great we been there many times, but no matter if we have a reservation or not the wait its crazy they are not very organized it takes a while to get your drinks or food, after going there many times and always dealing with the same scenario we have decided not to come back anymore even thought we really enjoy the food at the end its not worth all the waiting. Very noisy and very warm. We sat inside, and even with fans/ it was very warm and noisy. Hard to talk . Service was slow . Food ok/ have eaten there before and was better. Poor service today. Appetizer came after the main courses. Great food & service! Lynsay did was a good waitress. Good tequila selection. Will be coming back. Worth it to make a reservation as they are always busy; for good reason too! 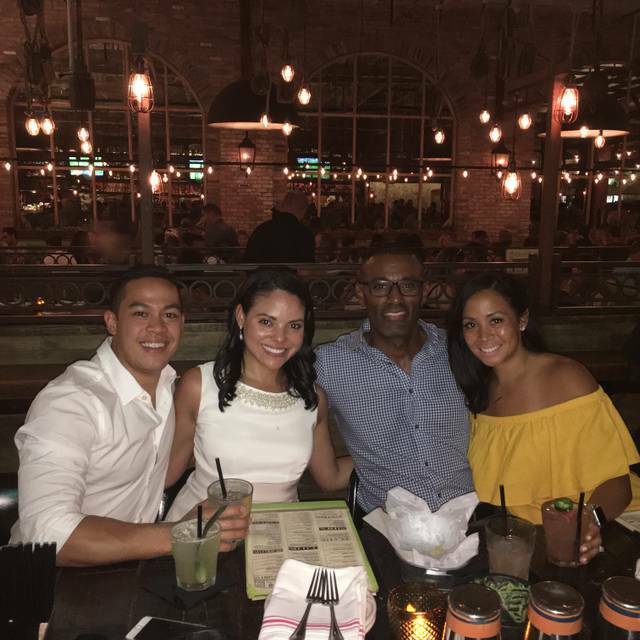 They have excellent service, great location on Las Olas, food is good and the best margarita selection! Very lively so lots of fun with a group or if you’re not wanting to have a quiet sit down conversation. Taco Tuesday is such a great deal and a fun time as well!! My favorite Mexican food in the area. I prefer getting a table to the bar area. The Bar is always very crowded and is hard to get waited on by the bartenders. Tried their mahi mahi with cilantro lime crema, absolutely perfect, I hope they have it again when I come back. It was a little loud but that's because there were sporting events on the TV which we were participating in the cheering. Great friendly vibe, fantastic tequila selection, will continue to be a go to place when we're up in FL. Good food, excellent service. The table though was really small for 6 people. Hope next time will be more comfortable. Host forgot about our reservation and kept sitting walk in customers despite me asking twice. Service was inattentive trying to take our plate expeditiously before we were done eating, ignoring that my drink was empty and only returning 10 mins later. Felt like they took our patronage for granted. Food was cold, ceiling fans were blowing at top speed causing it to feel like a wind tunnel, im sure it was to keep the servers/cooks from sweating but the guests were chilly. Excellent and tasty Mexican food and very authentic. Wait time for table even if reservation made via Open Table was too long, approx. 35mins to be seated. Loud and great atmosphere! Very recommended but be patient. Great atmosphere, cool decor. Everything I have had at el camino so far has been good food. I just dont understand how a taco place uses dry and terrible tortillas. Get some actual or good tasting tortillas into this chain. Basically the only thing stopping it from being known as amazing tacos is their lack of medium. Love this place! Great food, great device, great ambiance! Great food as always. A little too loud though, very hard to hear even the person next to me. We met friends from the west coast of Florida at El Camino. We had eaten there one other time and enjoyed it, so we brought them there. They enjoyed it as well! The service was fantastic, the food was delicious, the drinks were excellent and the atmosphere was exciting! We will be back!! Carla was our server. She was amazing. She was really attentive, very bubbly! She made our night. Made us feel like we were the only ones in the restaurant and it was a very busy taco tuesday! We made a reservation for a Tuesday night because it gets very busy due to the Taco Tuesday specials. The $2 tacos were great but the brisket nachos were exceptional! The brisket is sooo good and you get so much for $12. Our waitress was really attentive. Will definitely be back! Taco Tuesday was a fun experience. I wish the waiter was a little more specific on the happy hour. I asked if we were seated in the lounge area which would mean happy hour was till 7pm for us and she said yes, but turns out we were not and our happy hour ended at 6. Ugh! Other than that, the vibe was fun. I would definitely come back. We just got back from a cruise to Mexico and wanted to eat more Mexican! 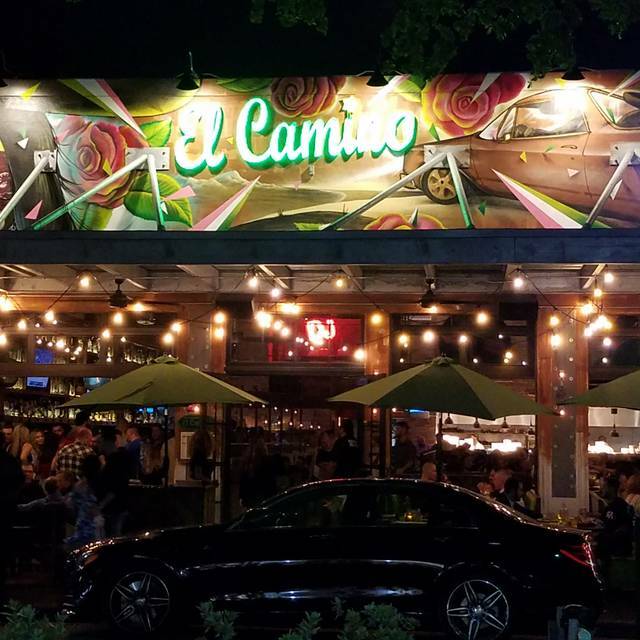 El Camino did not disappoint! The margaritas were outstanding (hubby had the classic & I had the strawberry basil) and the food was excellent. We received prompt service and enjoyed the lively environment. I highly recommend! Great food, great service and always a fun and lively atmosphere. El Camino Was so fun! Great food, drinks and company! Parking is a mayor ploblem if you driving, also waiting for a table after had a reserved..food is very good plus the staff very quick to serve. The drinks are not well mix for the price you pay. Other than the fact you can’t talk to one another, because of the noise, I love this place! Taco Tuesday - great deal on Tuesday with $2 tacos. Love the carnitas, barbacoa and chorizo tacos. 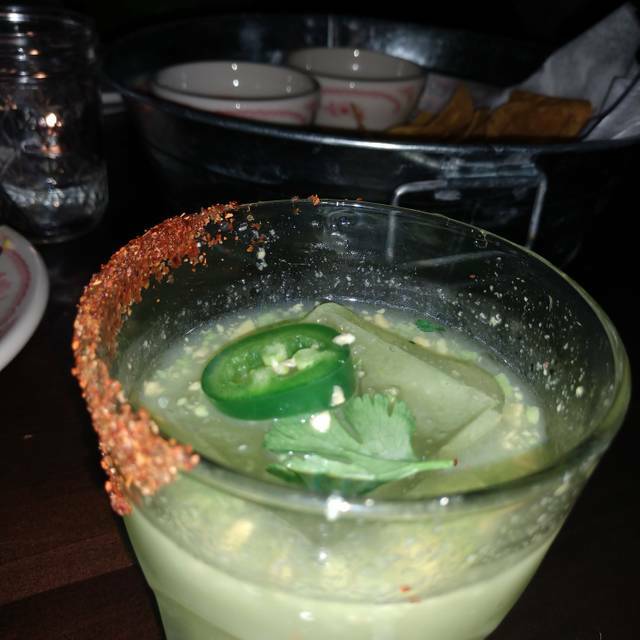 I drink Tequila straight and tried the Dulce Vida and Maestro Dobel Reposado. Both excellent, but the Dobel was so much smoother. The place gets full, so if you want a sit down meal make reservations. The drink specials are only available at the bar. Plan accordingly. We love this place! The food is always good, and we have never had bad service! It's some of the best Mexican food we have found around the area. We love El Camino Delray! My husband and I happened to be in the area of Fort Lauderdale and have been dying to stop in and check out the new location. We made a reservation on open table and thankful that we did. They were pretty busy for not only happy hour, but the restaurant side as well. The hostesses were very friendly and sat us right away. They also made a larger booth accommodation so that my husband and I could sit next to one another. Our server Michael was also amazing! He suggested a delicious special although we already had our hearts set on what to order. He was very attentive and friendly. The manager is also very sweet! We followed him from Delray Beach and were happy to see a familiar face in the new location. Overall 10/10 experience ! Really enjoyed the environment and food was good. Drinks were good, a little pricey but overall I will be back. The food and drinks were amazing. Service was spectacular, a big thank you to PJ and Deallo.